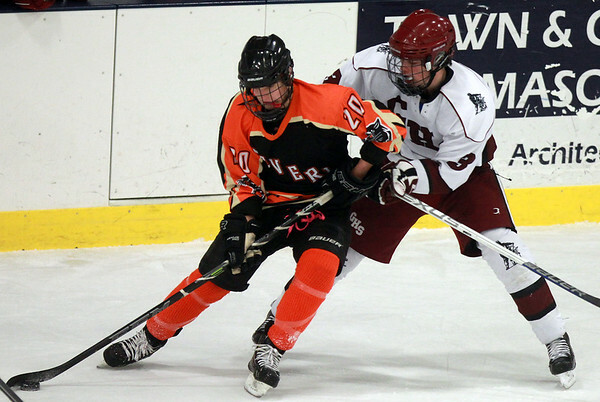 Gloucester senior defenseman Sam Kirk (3) leans on Beverly junior Hunter Spencer (20) and tries to pressure him into giving away the puck. DAVID LE/Staff photo. 2/4/15.